The soap is lovingly handcrafted by Marwa and her refugee sisters. With every bar, they reclaim another piece off what ISIS tried to take from them. The washcloths are carefully knit by women like Kadeeja, who escaped one war zone in Syria, only to land in another, here in Iraq. This Christmas, you can give them the gift of life. The gift of hope. The gift of a future. 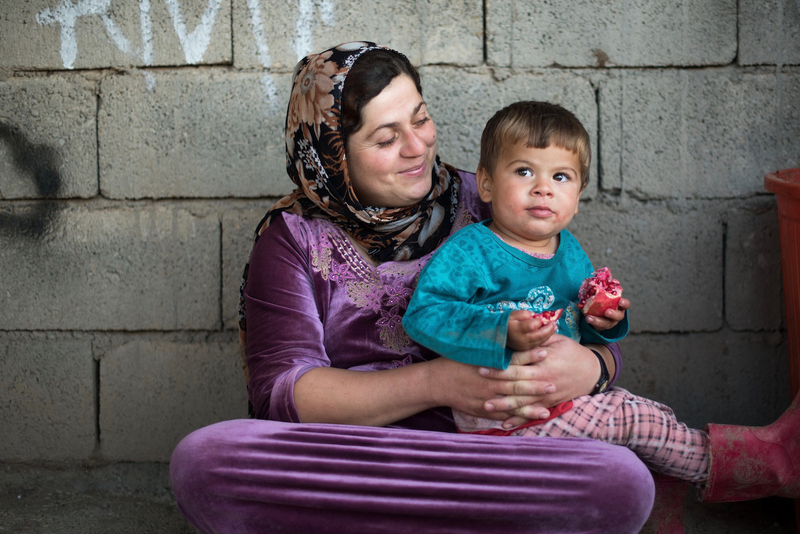 Every Sisterhood Soap gift set empowers not one, but three separate families in Iraq. Every Kinsman Soap gift set puts three families on the road to recovery, after years of war and upheaval. Every gift set helps displaced families imagine life beyond ISIS… and then start building it. Every gift set includes a bar of soap, handmade by refugees. A washcloth, knitted by refugees. And a wooden soap stand, carved by refugees. Empowerment is woven into every item. Make your Christmas shopping count this holiday season. Empower three refugees with a single gift. For #CyberMonday, every soap gift set is 30% off!